Brave souls can install an early version of Android P on Pixel phones today. It's March, and that means it's time for Google to release its first look at the next version of Android. As of today, developers can download the first version of Android P to last year's Pixel and Pixel XL as well as the newer Pixel 2 and Pixel 2 XL. Since it's a developer preview, we're not getting a ton of information about consumer-facing features, there is a lot of detail on what new features and technologies developers will be able to take advantage of in their apps when the next version of Android arrives later this year. 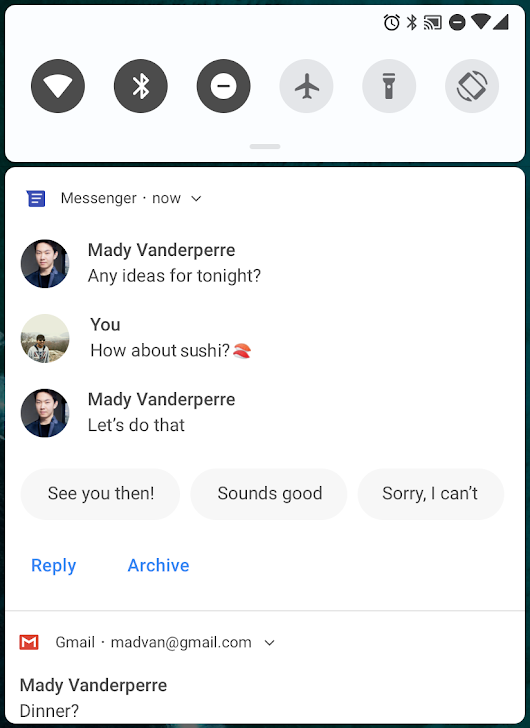 Right now, the feature that'll be most interesting to users is improved messaging notifications -- Google made revamped notifications a priority last year, and Android P will bring more of your conversations into the notification shade. As some screenshots show, messaging apps can include multiple lines from a conversation along with Google's smart replies in the notification shade, making responses quicker while also including more conversational context. Given how the smartphone "notch" isn't going away, Google is including support for cutout displays in Android P -- it'll make it easier for developers to manage how a screen cutout affects an apps content. The OS will also now support HDR VP9 video, so that HDR-enabled video on YouTube and Play Movies will work on compatible devices. The HEIF image encoding option will also be supported in Android P, as well. Multiple cameras is becoming more and more common these days, so Google added a new multi-camera API to Android P -- it lets developer access "multiple streams" from two (or more) camera lenses. How exactly that'll be used is up to developers, but Google says that apps will be able to pull in image data simultaneously from both dual-front or dual-rear setups. Google is also addressing the difficulties with location tracking that occurs when a phone and its user are indoors by supporting the WiFi RTT protocol. RTT stands for "round-trip time," and it lets your phone measure distances between WiFi access points without actually connecting to them. Once your phone knows the distance between three or more access points, Google says your position can be determined with an accuracy of one to two meters. This should help apps do better indoor mapping, something that Google's been working on in Maps for years now. Additionally, Google says it'll help support "disambiguated" voice control; that would let users say something like "turn on this light" and have the Google Assistant understand where you are and what light you're talking about. Finally, Google is continuing to improve Android's foundations, including power-saving tools like Doze (which arrived in Android Oreo), App Standby and Background Limits. Android P will also help push developer and users both to run more current apps -- it'll show a dialog box when you try and install an app that targets versions of Android earlier than 4.2. Apps currently in development can now target Android P, so it really shouldn't be hard to find apps that are ready to take advantage of the next Android version. 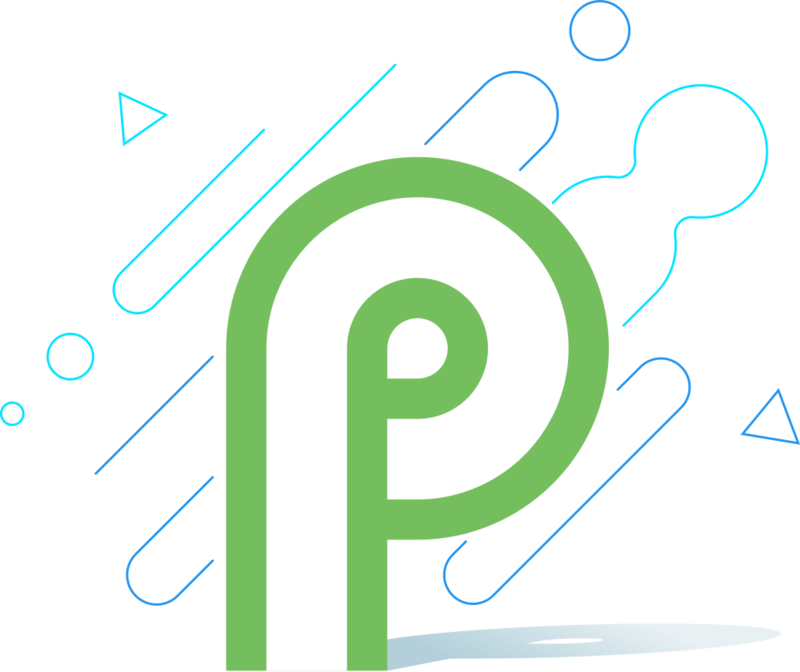 If you're a developer ready to take the plunge, Google has published the initial release of Android P, but it can only be installed with a direct download and flash of your device (you can find instructions here). Naturally, Google has explicitly said that Android P is not for daily or consumer use, so don't put this on a phone you rely on. We're just two months out from Google I/O, where we'll certainly get more details on what to expect from the latest version of Android. But for now, this will have to do.